This August, President Obama signed into law a bill that would save more than 300,000 jobs in teaching and public service. Amidst this Great Recession, that seems like a no-brainer, but it turned out to be one of the more controversial bills of the summer. Republican demands that the bill be deficit-neutral led to the shifting of $26 billion (half the House's intended allocation) away from food stamp and green jobs program to fund the initiative. All this haggling was over $26 billion. $26 BILLION! That's, by any standard, a sizable amount. But, compared to the nearly $137 billion Congress has allocated to the largely unpopular Iraq and Afghan wars in this fiscal year, or the $680 billion it could cost to extend the Bush tax cuts for the top 2% of households over the next decade, it's peanuts. With unemployment at 9.5%, foreclosure afflicting a projected 1 million households this year, almost one in eight Americans receiving food stamps, and still-soaring healthcare costs, one might wonder why our budget isn't sufficient enough to address these issues. Approximately 58% of the 2010 discretionary federal budget is sucked up by defense, and a multitude of other very important programs end up being treated like parking meters – funded with what pocket change remains. It's no news flash that there's plenty of waste that needs to be cut out of the defense budget. "Together with the economic downturn, the Bush tax cuts and the wars in Afghanistan and Iraq explain virtually the entire deficit over the next ten years. The deficit for fiscal year 2009 was $1.4 trillion and, at nearly 10 percent of Gross Domestic Product (GDP), was the largest deficit relative to the size of the economy since the end of World War II. If current policies are continued without changes, deficits will likely approach those figures in 2010 and remain near $1 trillion a year for the next decade." 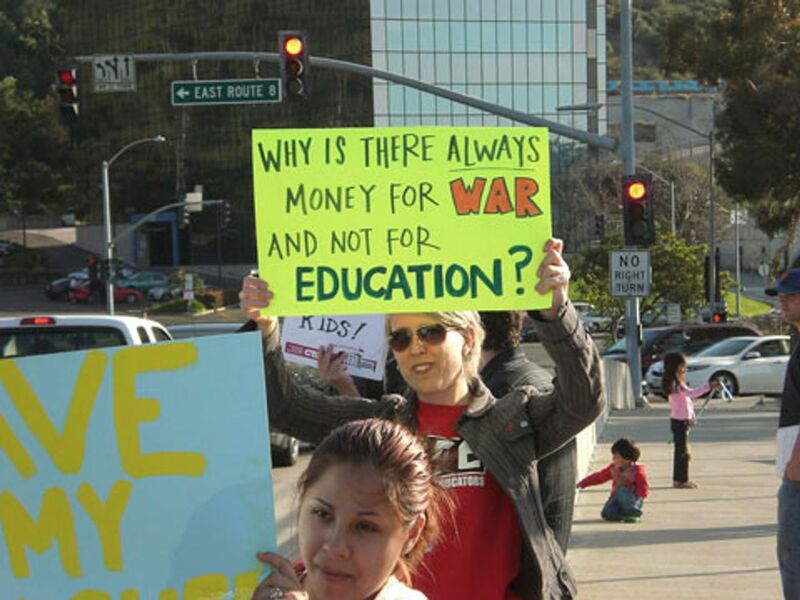 So, when the GOP calls for paygo on public education, safety and health, this is what that translates to: Trillions of dollars for senseless wars and tax breaks for the wealthy? ABSOLUTELY! The well being of the American majority? Come on people, turn your pockets out. It's high time our federal spending priorities be reassessed, and it's got to start with one simple question: Are we helping those who need help? The way Congress is currently doing things gives the impression that they're not only blind to the escalating strains that the recession is having on people, but also the devastation their big business alliances are wreaking on the planet.